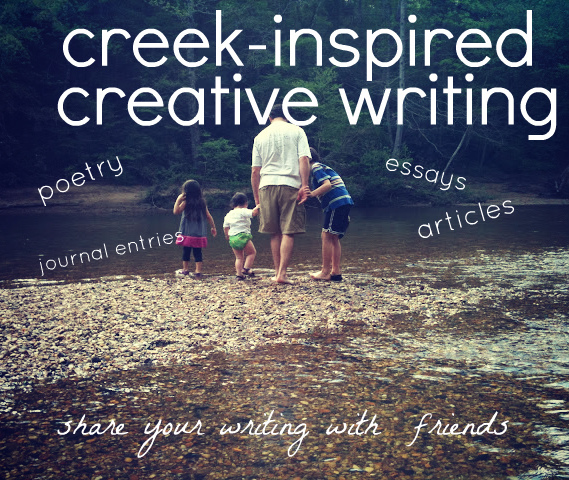 Many people have mentioned the poems, journal entries, essays, or otherwise creative writings endeavors inspired by Hurricane Creek. We wouldn't be true friends to our stream if we failed to collect these treasures which evoke the more complicated attachments between human beings and the natural world. 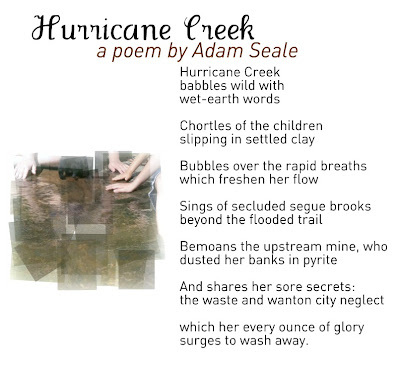 To paraphrase Rachel Carson in her book, The Sea Around Us, if there is poetry on this website, it is not because we deliberately put it there but because no one could writing truthfully about Hurricane Creek and leave out the poetry. Our thanks to Adam Seale who first reminded us that poetry tells the truth about nature and its meaning just as effectively as an equation. Learning to think like a creek, to be conscious of the intricate webs involved in a local ecosystem, may require us to feel like a creek, to extend our imaginations outside our own experience and into the wild. "Jordan River" is a poem by TJ Lawson shot live at Hurricane Creek. "Tributary: Becoming Green Warriors of the Red Earth Country"
"The creeks ... are an active mystery, fresh every minute. Theirs is the mystery of continuous creation and all that providence implies: the uncertainty of vision, the horror of the fixed, the dissolution of the present, the intricacy of beauty, the pressure of fecundity, the elusiveness of the free, and the flawed nature of perfection." 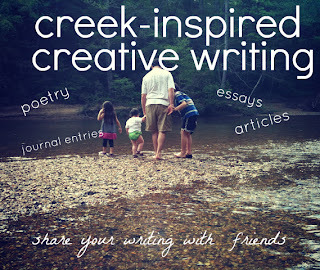 Please email all creative writings and creek-related scribbles to lifeathurricanecreek@gmail.com.